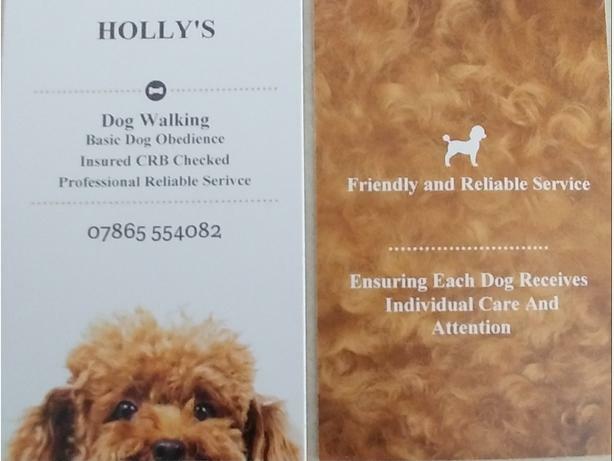  Log In needed £10 · Dog walking & training. Holly's dog walking and basic dog and puppy obedience training. Dog first aid trained and basic grooming trained. Reliable and friendly. Please ring for more information. Many thanks. Only genuine enquiries please.